The Essential Phone, or the PH-1, was a phone focused on physical beauty, despite the deep notch at the top of the display for the front camera and sensors. Despite its problems, it gained a small but loyal following, many of whom were anxiously waiting for Essential's sophomore phone (PH-2?). Those dreams look to be crushed now, with Rubin's company canceling its second device. Bloomberg's source claims that the engineers, some of whom came from Apple and Google, will likely be a part of the sale, but Essential is still trying to make a decision. Bloomberg also reports that Essential is pivoting to the smart home game, citing that the company "has shifted engineers and other resources to an upcoming smart-home product, which is on track for release by next year." 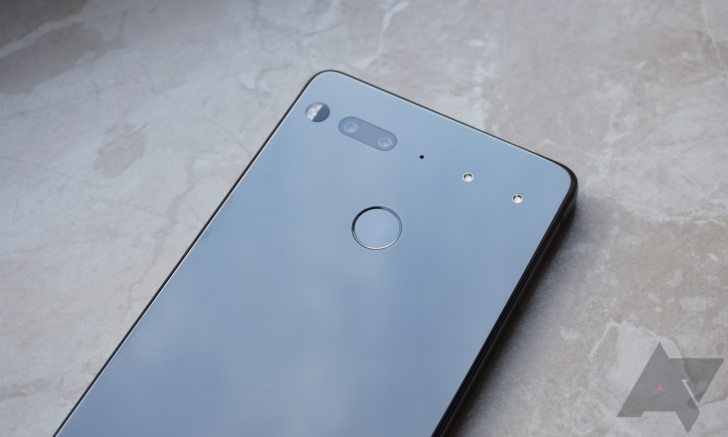 We've reached out to Essential and we will update if we hear anything back. For now, it appears that the company has refused to comment on the situation, but that might change soon. "We always have multiple products in development at the same time and we embrace canceling some in favor of the ones we think will be bigger hits. We are putting all of our efforts towards our future, game-changing products, which include mobile and home products." Take from that what you wish. According to an internal email acquired by The Information, Andy Rubin says that Essential is not shutting down, instead "working with bankers to raise money." An acquisition, apparently, is one possibility of getting the needed funds. He seemed put off by the original Bloomberg email that we cited, claiming that it will harm the company's efforts to "optimize." He seemingly remains optimistic, saying that he will "focus on winning, not whining." As of now, it looks like the successor to the Essential Phone remains canceled. Rubin doesn't know what the best choice for the company is, but at this moment, there are no plans to shut down Essential.